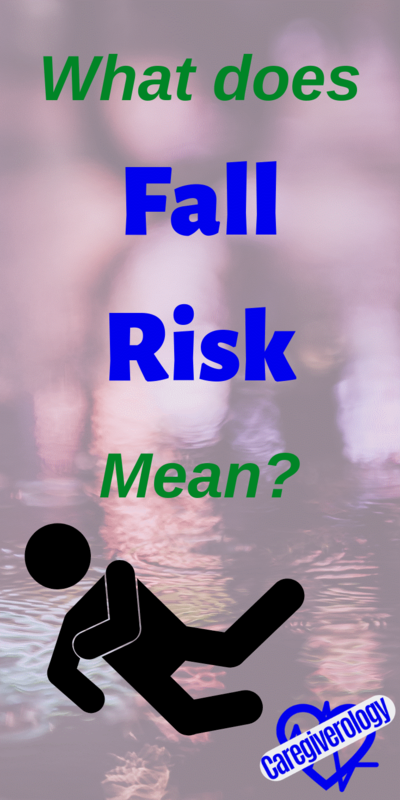 What Does Fall Risk Mean? Patients who are considered a fall risk have a higher risk of falling than others and should have extra precautions taken to make sure they are safe. The older a patient gets, the more likely they are to fall and injure themselves. If they must ambulate, they may require a cane, walker, or sara stedy. They may not be allowed to get up at all if they are on bedrest. In the hospital where I am employed, the color yellow represents patients who are considered to have a high risk of falling. 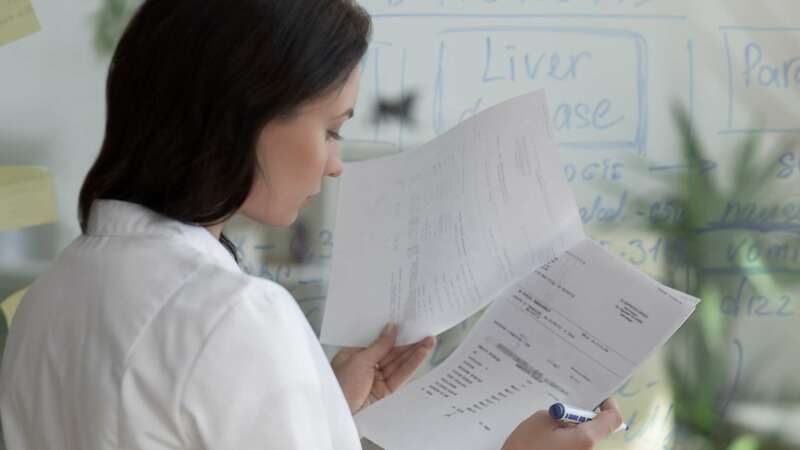 Many are considered a risk as soon as they are admitted. If they get this diagnosis, they are assigned to have a yellow sign in front of their door, a yellow arm band that has "fall risk" on it, and yellow double-sided slip-resistant socks. This is a very useful way to identify people who you need to be extra cautious with. If you work in a facility that doesn't use this or a similar method for high risk patients, it may be a good idea to mention that they should start. It will more than likely prevent many falls from happening in the future. Elderly people fall a lot more often than younger ones. This may not seem like a big deal at first but it certainly is. A younger person can fall and get right back up. An elderly person almost always needs help in order to get back up. Sometimes, help isn't always there right away. The person may be on the ground for hours, or if they live by themselves, even days. 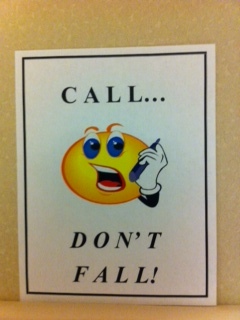 When this happens, they may not be able to reach a phone to call for help or may even become unconscious. Either way, this is not a situation anyone should be in. 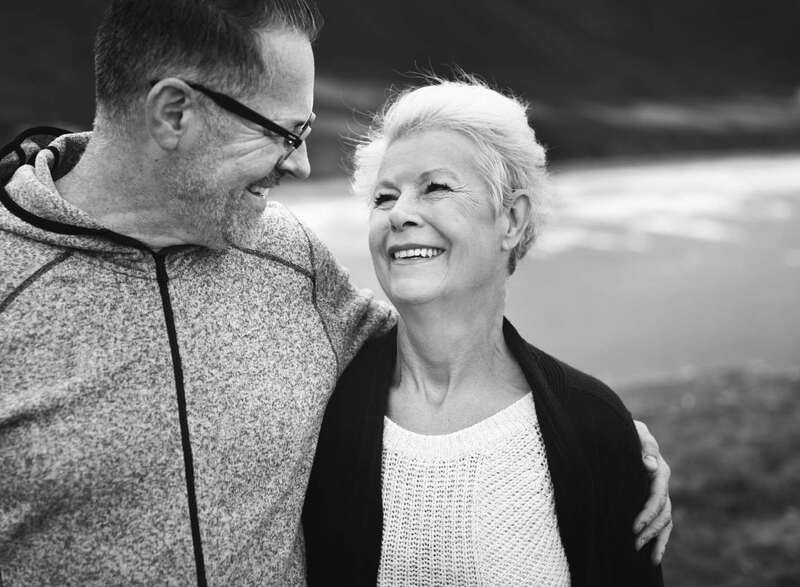 This scenario is so common that there are medical alert devices such as those by the electronic caregiver. The device is a simple button worn around a person's wrist or neck. That way they always have it with them in case of an emergency. When the button is pressed, it immediately alerts emergency services. This has literally been a life saver for so many people. I have taken care of many patients who have broken their hip or knee because of a fall. I've even taken care of a few who had a concussion. These things not only have to be repaired, often with surgery, but they also take a long time to heal. Research has shown that once a patient falls once, there is a much higher probability that they will again in the near future. And of course, the older they are, the more this statistic applies to them. The longer a patient goes without falling, the less falls they will likely have altogether. 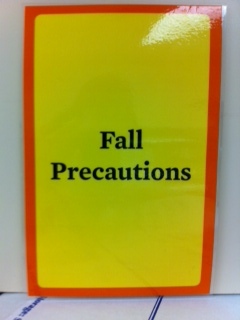 To a certain extent, you should consider all of your patients to be a fall risk. This may sound silly but it's better to be safe than sorry. Even if a patient is completely alert and mobile, when they receive pain medicine, they often become disoriented and unstable. On top of being drowsy from pain medicine, they may also have an iv line or port connected to them along with a heart monitor, oxygen tubing, pulse oximeter, a foley catheter, and a sequential compression device. All of these things have to be taken off a certain way. If the patient jumps out of bed without thinking, these things can easily cause them to trip and fall. Patients are at an even higher fall risk at nighttime. Patients with dementia often wake up and immediately try to get up. Luckily, if they have a bed alarm or chair alarm on, you will be able to rush into the room and prevent them from falling. These alarms have prevented countless falls for me. Even patients without dementia have told me that they forgot they were in the hospital after waking up from a deep sleep. This goes to show that you can never be too careful. If a patient needs assistance to get up, it is best to turn their bed alarm on at night regardless of their mental status.